The OSCE Minsk Group, as an international mediator in the Nagorno-Karabakh (Artsakh) peace process, treats the country as a conflicting side involved in the long-running land dispute with Azerbaijan, while the Baku authorities have no other choice but to accept the existing reality in the negotiations, says an expert in international affairs. According to Hovhannes Igityan, Armenia’s current legitimate government offers the country a serious trump card in both the current regional context and on the international arena. Igityan, who was elected to parliament on December 9 as a member of Nikol Pashinyan’s political alliance My Step, questions the current political opposition’s disapproval of the acting prime minister’s approaches to Artsakh. “We can definitely state now that over the entire past period, Armenia did not have a more legitimate government than it does now, because the lack of legitimacy itself accounted for Armenia’s weak positions in the Artsakh peace process. Armenia now has a leader who is not directly related to Artsakh,” he told Tert.am, citing Azerbaijan’s repeated allegations that the former two presidents (Serzh Sargsyan and Robert Kocharyan) were natives of Artsakh who also participated in the early 1990's liberation battle. “This is why they did not want to see Artsakh around the negotiating table. Nikol Psahinyan, however, acts clearly as a representative and leader of Armenia,” Igityan explained. In his words, Artsakh will be a direct participant in the process regardless of Azerbaijan’s stance, “because Pashinyan is determined discuss absolutely everything directly with that country’s government”. “The OSCE Minsk Group can be now said to be taking Artsakh into consideration, whereas Azerbaijan cannot, after all, ignore the reality,” Igityan added. 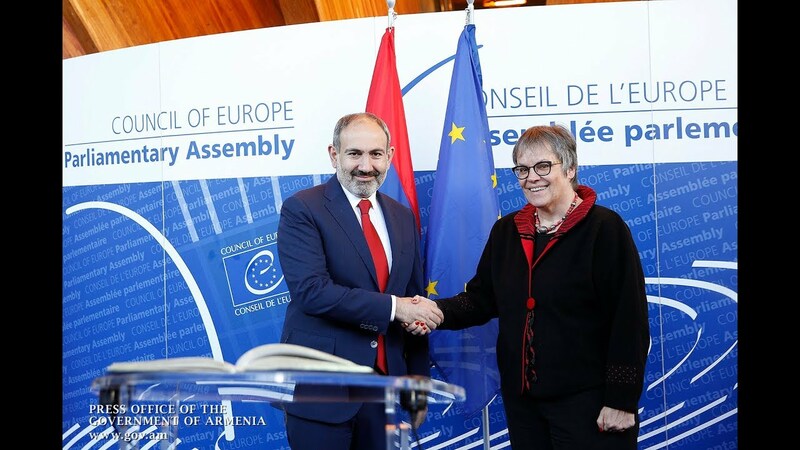 Commenting on the reported progress in the negotiations, the expert noted that the brief meetings between Pashinyan and President Ilham Aliyev have yielded certain positive outcomes, “contributing to a positive environment”. As for Foreign Minister Elmar Mammadyarov’s statement that Armenia and Azerbaijan “managed, for the first time ever, to ensure a positive dynamics”, Igityan referred to the Minsk Group’s joint statement issued after the Azerbaijani official’s talks with the foreign minister of Armenia. “All that statement says is that this conflict should have only a peaceful solution,” he said.